Celebrate for less with Gardening Express! 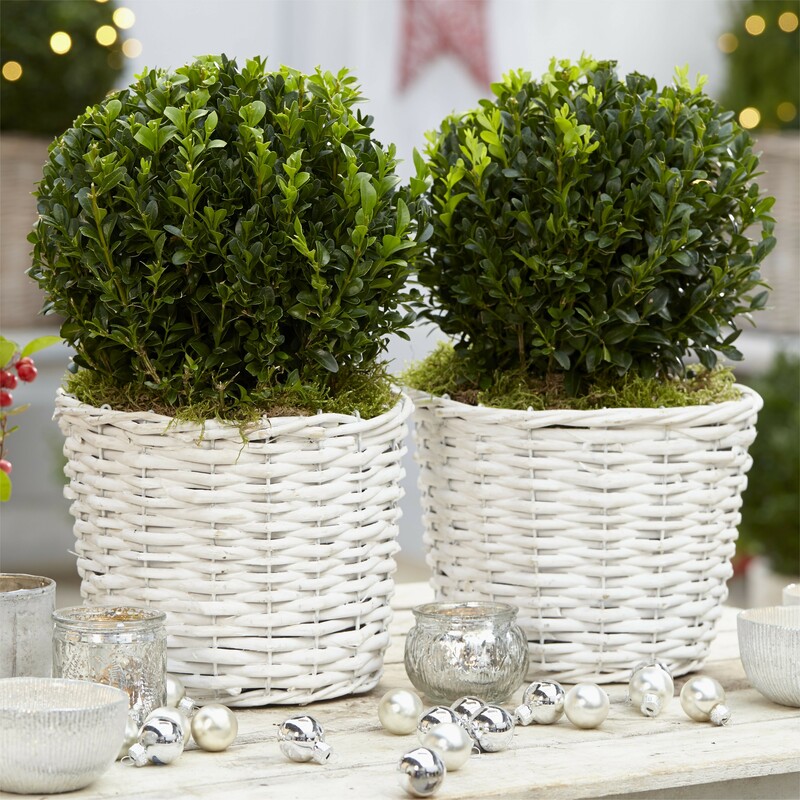 These lush Buxus balls, also known as topiary Box, complete with smart white baskets would make beautiful accessories in any garden, or a stunning festive gift. Each Pair of these stunning evergreen spheres arrive ready planted with attractive planters for your convenience, so all you have to do is position the pots where you would like them and enjoy - gardening couldn't be easier! You'll find that this dense evergreen buxus is slow growing yet very long lived, needing the minimum of care, just keep well watered and feed for best results and simply trim over occasionally to shape. Exhibiting the dark green foliage no matter the season, a pair of these tightly rounded evergreen box spheres is excellent for flanking a set of steps, doorway or path. Supplied as strong plants of superb quality clipped into neat spheres, in roomy approx 3-5 litre baskets, typical plants as supplied are pictured.